As you guys have probably all figured out, I doubt I will reach my Goodreads goal of 80 books this year. Am I a little embarrassed and slightly bent out of shape about it? Of course. 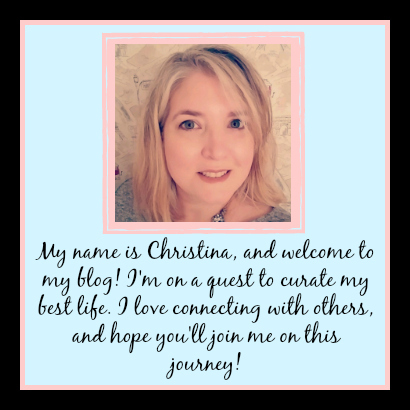 I have put my reading life out here for everyone to see, and I didn't reach the goal I set for myself...one that's fairly dinky in the world of book bloggers. Despite not reaching my goal this year(because I seriously doubt I'll finish 6 more books in 5 days) I am a big fan of setting a reading goal for myself each year, and I'd like to encourage each of you to do the same. Whether it's a book a month or a book a week, everyone knows that setting goals is important. I would say setting the goal is even more important than achieving it. But honestly, my reading goal is one New Year's Resolution that I'm fairly certain I can actually achieve every year. I love reading, and finding new and old gems to add to my read collection is something that excites me. And it's also something that connects me with the rest of you. So, in recommending that all of you set a reading goal for 2017, I'd like to give you some tools to help you in keeping track of your goal and/or helping you come up with new and exciting things to read in the upcoming year. Oh and if you're looking for something else to help you figure out what to read, my friend brought my attention to the PopSugar 2017 Reading Challenge, which can be found over here. It has a list of 52 books to read over the course of the year, with things like "an espionage thriller" and "a book from a nonhuman perspective". I think this would be a really fun list to go through, and I'd love to see what books people chose to fit the suggested prompts. Every year I do the Goodreads yearly reading challenge. I also rate and review everything I read on there. It's become part of my reading routine, and a way for me to manage my To Read list. I have the app on my phone so I can reference my lists wherever I am, since I'm rarely without my trusty smartphone. If you get in the habit of using it regularly, it can save you time and money. If I see something online or in a shop that's interested me, I can add it to my "Want to Read" list and then look it up in the library. If the library doesn't have it, I can ask to Interlibrary Loan it. Ta-Da...time and money saver. I also rely heavily on other people's reviews...which I always read with a hefty dose of skepticism (as I expect you to read mine, as everyone has different taste in books, it's what makes each of us unique and special). Because I read other's reviews, I try to review everything I read...even if it's just putting the stars in, as I know that might help someone else. If you're looking for something like Goodreads, but perhaps smaller and slightly different, check out Bookstr. Very similar, and I'm very behind in updating my reading list on here. I can't quite pinpoint the differences between these two sites, but I can tell you they are there. It's easier to win giveaways, as there are less people vying for books. It's just another option to check-out. If you're a fan of Instagram, and like me you carry your smartphone with you constantly, you should probably add the app Litsy to your phone (if you haven't already). It's Instagram, but only for books. People add blurbs and reviews, with accompanying snapshots. For a long time it was only available for Iphone users, but has recently added Android...so I'm up and running! I enjoy putting my photos on there, and a quick synopsis on whether I liked the book or not. It's also fun to put up a quick quote that catches your eye. If you decide to use the app, you can find me @TomesandTequila. Now, for those who would rather have a paper journal to keep track of what you've read, I have a beautiful option that is just the right price, and can be found on Etsy. YellowPaperHouse has these Book Review/Reading Journal Traveler's Notebook's for $6-$9 depending on size in a variety of colors. I purchased one a few months ago, and I love it. 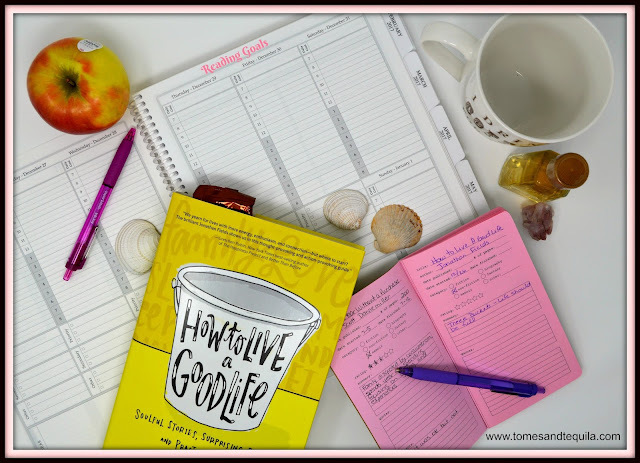 It has a place for you to write a summary, your star rating, a few quotes and any important info you might want to remember about the book you're reading. I'm a bit obsessed with bullet journals and midori traveler's journals...so this caught my eye. But honestly it's the perfect pretty little journal to throw in your purse and keep a record of what you've read throughout the year. And you can get it in pink!! So there ya go. I think I'm going to set 96 books as my goal for 2017. With writing for the blog now, I don't think it will be too hard to achieve. This blog has helped me to have a bit more structure in my reading, although I do still get distracted by television shows, makeup tutorials and Fassy. I hope everyone had a fabulous Christmas. Since people enjoy seeing "behind the scenes" when it comes to blogs, I'd like to share what I'm looking at as I write this. 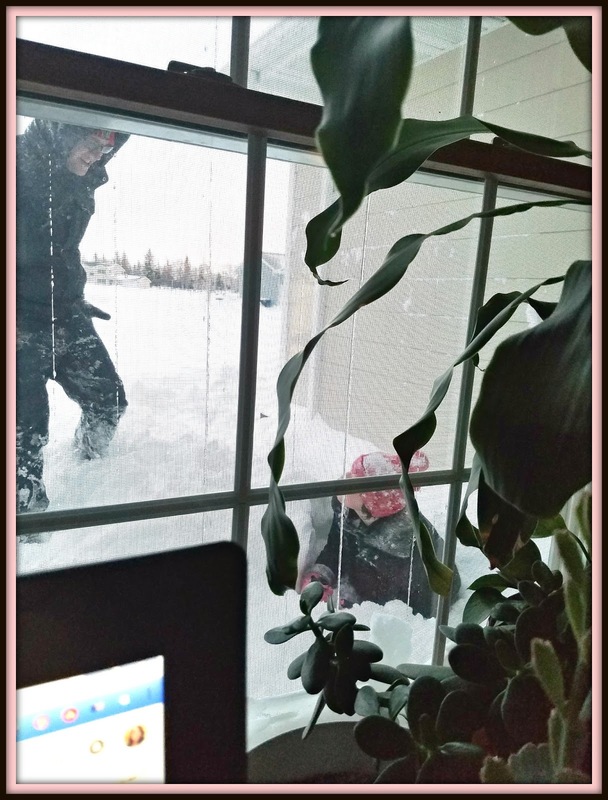 My youngest is home from the Academy, and we are snowed in. I got the privilege of staying home with them for another day...and "the kids" are beating each other up in the snow outside my office window. The only way I could be happier was if my husband was here...but we are almost halfway through his forced vacation, and I see a light at the end of the tunnel. I am feeling very blessed that people are enjoying hearing my thoughts on books. It has been an amazing creative outlet for me...and I can't thank y'all enough. So I'm off to try and finish reading How to Live a Good Life. I'd love to hear if you've set a reading goal for 2017, and if so how many books you'd like to read. Also...how do you track your books?? Paper or Digital?? Are we friends on Goodreads?? Twitter?? Litsy?? Let me know in the comments here or over on my Facebook page.